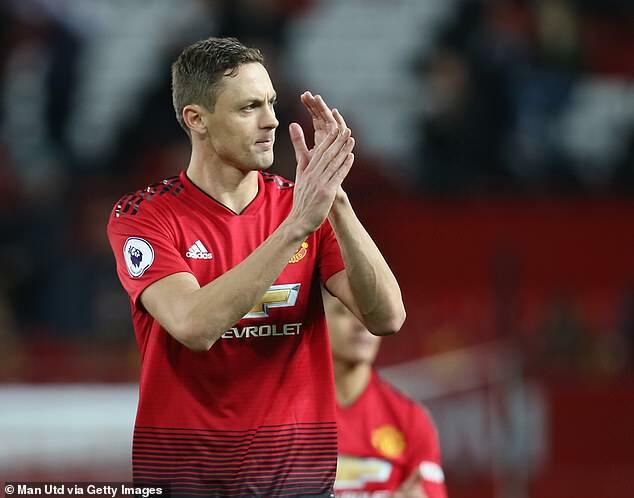 Manchester United midfielder Nemanja Matic may miss out on a return to Chelsea next month after withdrawing from Serbia duty because of an unspecified injury. United confirmed Matic had returned to the club ‘to complete his rehabilitation’, ruling him out of the Nations League fixtures in Montenegro and Romania this week. He could also be sidelined for United’s crunch Stamford Bridge clash when they return to action after the international break. Matic made more than 150 appearances for Chelsea across two spells before linking up once again with former Blues boss Jose Mourinho last year. Serbia, meanwhile, must do without two of their most experienced players, with captain Aleksandar Kolarov also ruled out because of injury. Goalkeeper Marko Dmitrovic said on the Serbian Football Association’s website: ‘Sure we’ll miss them. They are our two captains and the best players, but in this team we have a lot of quality players who are ready to replace them in their absence. The news of Matic arriving back at United early comes a day after full-back Luke Shaw pulled out of the England squad for their double header against Croatia and Spain.